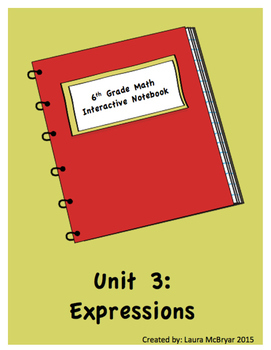 This resource includes notes and mini-assessments to guide the teaching and learning for the 6th grade math unit of expressions. The guided notes give the students the ability to follow along and interact with the concepts. 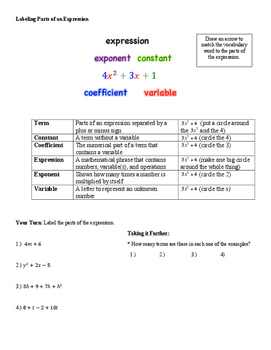 The notes are common core aligned (specific to Georgia Standards of Excellence) for 6th grade math and include topics such as identifying parts of an expression, writing expressions, evaluating expressions, exponents, solving using order of operations, writing equivalent expressions, and using the associative, commutative, and distributive property. 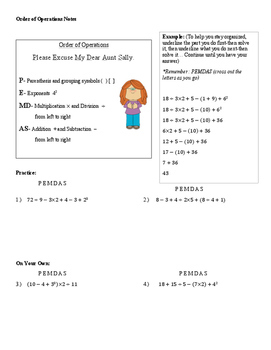 The resource has two foldables, one for order of operations and one for the keys words for writing expressions. I've even written some stories for the properties and included some pictures the students can put in their interactive notebook and decorate them to help them remember them. The quizzes can be given at the end of the week to see student progress. 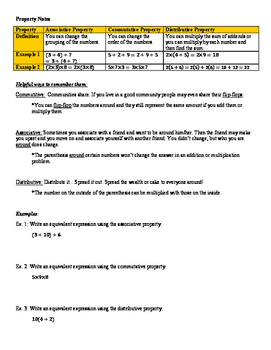 There are teacher answer keys and sample answers for constructed response questions.